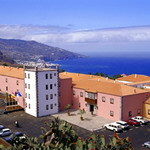 The new Parador de la Isla de La Palma is located in an area of great natural wealth, near the capital of the island and the airport, known 'El Zumacal', within the municipal boundaries of Breña Baja. 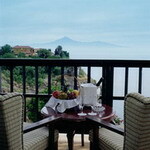 The Parador is built in modern and typical Canary style and features gardens well-stocked with indigenous plants. You can dine at the onsite restaurant, which serves typical Canary dishes. Also, enjoy these dishes with La Palma wine. Conference facilities are also available for people on business travel. During leisure, you can relax at the pool, sauna or workout at the gymnasium. The island of the 'eternal spring', thanks to its unequalled climate, offers enormous contrasts and a wide variety of landscapes in its different areas. 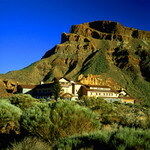 The Parador, located in the natural Cañadas del Teide crater, more than 2,000 metres above sea level, invites the guest to contemplate impressive panoramic views of the Teide cone, the Chaorra crater and the White Mountain. Since it is the only building within the El Teide National Park, its interior recreates the ambience of a mountain lodge both in the common rooms and bedrooms, and has terraces with impressive panoramic views of the Teide. 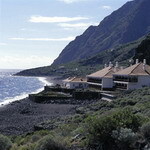 The Parador is located next to the sea, opposite the Roque de Bonanza, in a heavenly setting where the sea and the volcanic mountains meet. This modern building, dotted with beautiful balconies, is ideal for rest and tranquillity. Its elegant, colonial interior preceded by a fascinating garden with swimming pool, is cheerful and friendly. The bedrooms are very comfortable and some of them look out over the ocean, offering magnificent views which define its impressive immenseness, from which you can enjoy the tempting murmur of the waves. This Parador, with typical island architecture, invites the guest to enjoy its paradisiacal setting and to contemplate unsurpassable views of the ocean, with the island of Tenerife and the Teide in the background. The interior is filled with marine references and navigational instruments which recall the ships of Columbus, which left the island for America. In the living rooms, the furniture combines Castilian and Isabelline styles, although a very personal, elegant and distinguished Canary Islands air is also conserved. The welcoming bedrooms, the swimming pool and the garden, exuberant and filled with subtropical species, are some of the attractions which complete the interior.